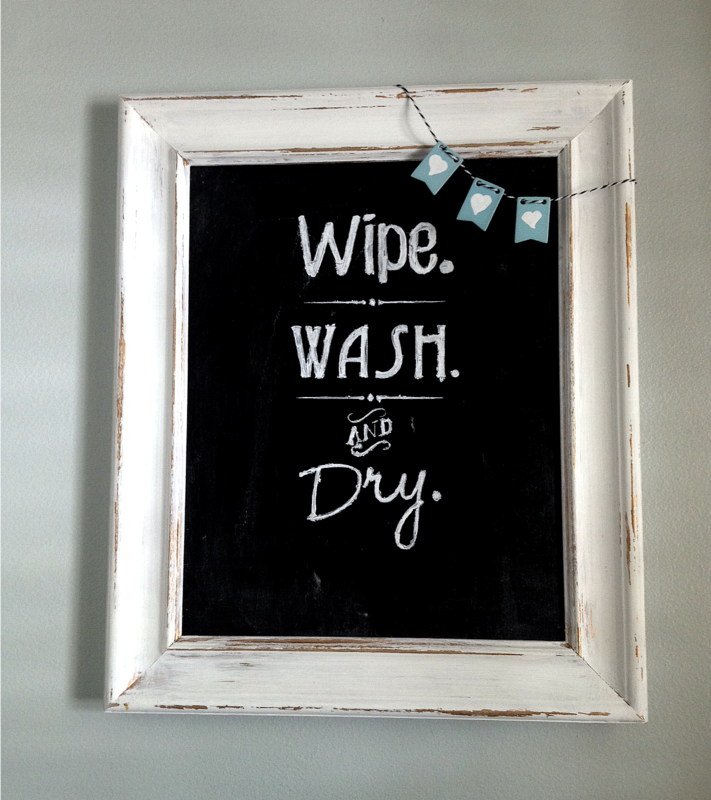 Last week on our sister site, Two It Yourself, I shared a tutorial for how to turn an old picture frame into a DIY chalkboard. I also revealed, as if it wasn't obvious from the pictures, that I do not have the best fancy handwriting and so I turned to my Silhouette to make a stencil for my chalkboard saying. So while I initially was looking for an actual chalkboard style font I ended up just going with fonts that looked more like handwriting than chalk writing. The 'AND' design and the lines under 'Wipe.' and 'Wash.' were both part of a dingbat font set called Bergamot Ornament. It's a free to from DaFont.com. Click here to read more on why dingbat fonts are like the best thing since sliced bread when it comes to Silhouette. 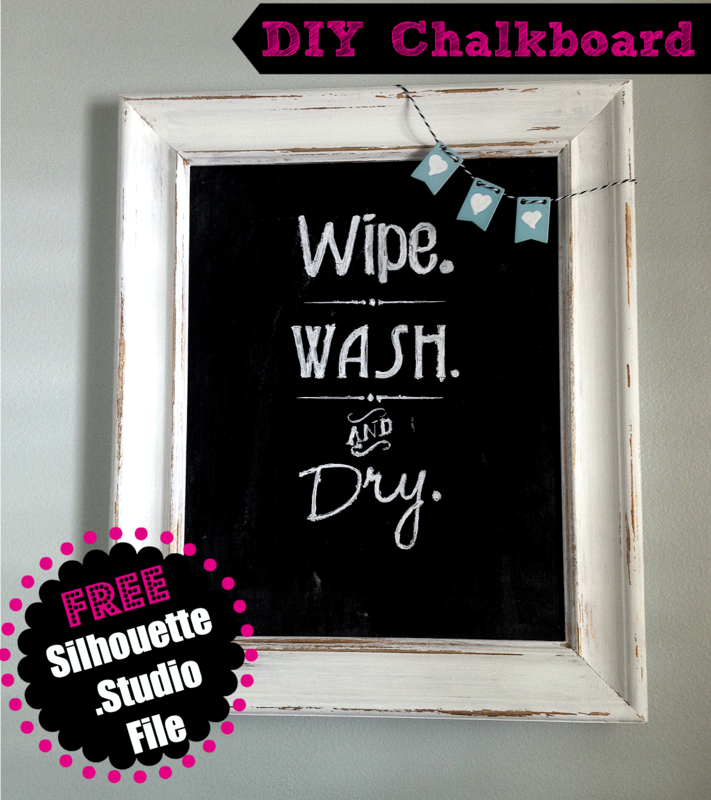 Of course, you can make your own chalkboard stencil easily enough, but I'm also offering the free Silhouette Studio file for the design I used to make my bathroom wall art. Just click here to download the file and open in Silhouette Studio. After I cut my stencil on cardstock I very lightly sprayed the back with spray adhesive and laid it on my DIY chalkboard. I used a chalk marker to quickly and easily fill in the stencil.